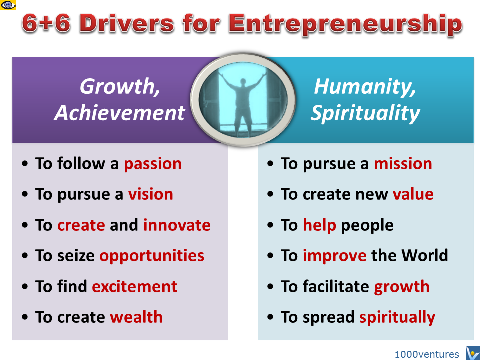 Entrepreneurship is first and foremost a mindset. It is the art of finding profitable solutions to problems. Every successful entrepreneur, every successful businessperson has been someone who's been able to identify a problem and come up with a solution to it before somebody else did. In the new era of rapid changes and knowledge-based enterprises, managerial work becomes increasingly a leadership task. Leadership is the primary force behind successful change. Leaders empower employees to act on the vision. They execute through inspiration and develop implementation capacity networks through a complex web of aligned relationships. In the increasingly turbulent and competitive environment firms face today, a new type of "entrepreneurial" leader distinct from other behavioral forms of managerial leadership is required.